We have experience in fixing cars for almost two decades. You can trust us to work on your vehicle with every confidence that it is in good hands! We love working on all types of cars because fixing things is something that is ingrained in us. Fixing cars is like a hobby for us and our passion for this goes beyond doing the basic checks required for your vehicle. Lost/broken key or immobiliser issue? We've invested in dealer level equipment to cater for up 90% of the UK market for vehicle key programming to meet the vast majority of cars. Thank you very much for the help. We have used the garage a few times over a year. We are happy with the service provided. I would like to recommend M.O.Tease ‘R’ Us. 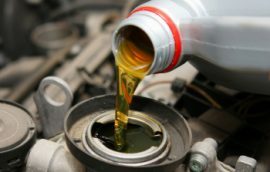 The garage provides friendly and excellent service at reasonable price, which you can always trust. I took my car with multiple problems. They did an amazing work – provided with before and after diagnosis reports. Most of all they charged for a fraction of the time they may have spent doing work. Very friendly and welcoming. If anybody wants good job and value for money look no where else but MOteaseRus. I would like to say that I know them for many years and they are always reliable and provide a very good service. They are trustworthy and willing to help. I definitely recommend them to everyone to come. Fortunately for me, I have been able to finally locate a mechanic that I can trust. I took my car in for break pads and disc change. I was waiting to hear that it would cost me something astronomical; as it is with other mechanics. Amazingly, it only cost a few pounds to change them and even cheaper than when I had my car A.C check and re-gas with a different mechanic. Also, I didn’t have to sit around and wait too long to get the break discs and pads changed. 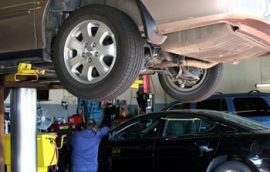 Most mechanics are out there just to make money because consumers are at their mercy, but M.O.Tease ‘R’ Us only conducted business with integrity. They are one of a kind that values their customers and also provides excellent service. Excellent MOT service from Nadim as usual. I know I can always count on a reliable service. 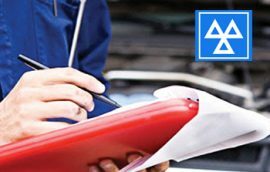 Very quick and hassle-free MOT, easy to get to and at a very competitive price. Going there next year. Nadim is a reliable mechanic that I can introduce to a friend. The prices for MOT and car maintenance are reasonable. He keeps up to appointment and I have never been disappointed. The garage is kept in good condition for access to drivers. M.O.Tease ‘R’ Us are a very professional company. Nadim was prompt, reliable and always kept me updated with my car. 100% excellent service! I would use and recommend M.O.Tease ‘R’ Us again! Thanks again Nadim! Excellent customer and reliable service. With over 15 years of experience working in the motor trade, started working with tyres and exhausts, progressed to a level of key programming and diagnostic work, this is a great achievement and still progressing I realised the next step can only be my own business to be able to climb the ladder. M.O.Tease ‘R’ Us provides London residents with the annual smog emissions testing required for all vehicles 3 years or older—but we are also here to support you with your ongoing automotive service, repairs, and maintenance needs.